A humidifier is basically the same thing as a steamer, and we know how much natural girls love their hair steamers! I first noticed it during my second winter in Chicago. I’d wake up in the morning and sometimes the inside of my nose would be bloody and dry. My skin started feeling rough and scaly and uncontrollably itchy in parts. I would wake up incredibly thirsty. And let’s not talk about the hair. My ‘do was looking and feeling like a steel wool scrubber, just dry and coarse and lifeless. What was causing all of this? Winter. Winter does a number on your internal health and well being, as well as the external. i tried to rectify my dryness by drinking more water, using different products and it seemed there was very little difference. Then my mother in law put me up on game. “You need a humidifier,” she said. “Here, have mine.” And then my in laws said goodbye to winter forever and moved to Florida. Lucky them! Keeping a humidifier by my bedside has made a world of difference for my winter hair and skin issues, but the benefits of having a humidifier can be explained better by Erica Douglas, AKA Sister Scientist. She’s a cosmetic chemist and beauty industry expert who’s come up with the formulas for some of your favorite hair products behind the scenes! Basically, humidifiers provide essential external moisture when it’s in short supply in the atmosphere: “…a humidifier is basically the same thing as a steamer, and we know how much natural girls love their hair steamers! A humidifier is just putting additional moisture back into the environment. 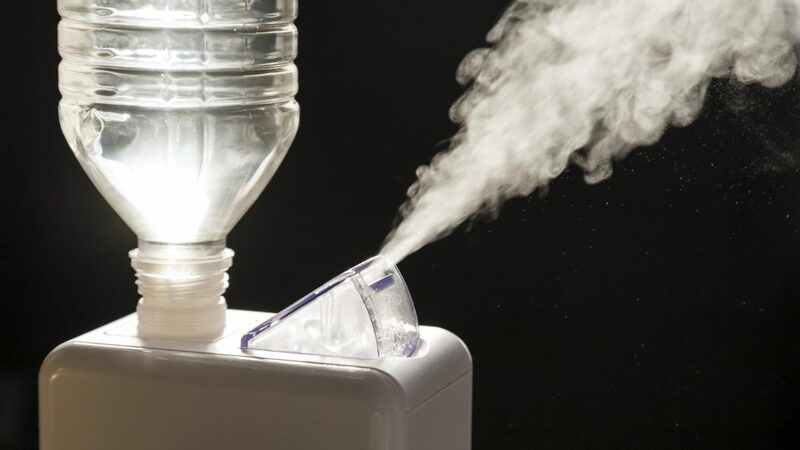 Humidifiers usually get the most use in the winter when the air is drier. And when the atmosphere is dry, our hair is most likely dry as well. A humidifier will help to keep more moisture in the air during those harsh winter months, which in turn will help keep our hair from drying out too fast.” To amplify your effects, use a night time hair treatment (there are some great oil based ones) so you can wake up with softer, happier hair. Happy humidifying!